Your personal guide to learning how to love. When you say or hear the words "I love you" it can change your life forever. Love is one of God's most important gifts to anyone, yet there are many misunderstandings about how to make love work in our families, friendships, marriages and dating relationships. 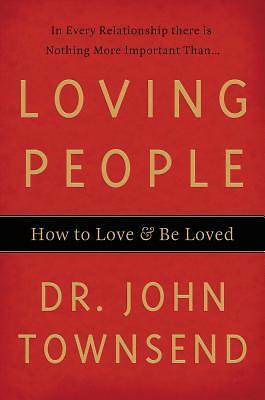 In Loving People, best-selling author Dr. John Townsend shows you that love can actually be learned, and gives you the steps and tools to become skilled in love. Through his teaching, readers will discover - and start enjoying - the words, actions, and experiences of authentic love.